Isotek is committed to respecting the privacy of everyone and will not knowingly breach any relevant privacy legislation. Isotek complies with UK data protection legislation. Our Information Commission registration reference number is Z2501211. Isotek will not share with third parties any personal information you submit via our website. This information will be stored on Isotek’s own secure internal servers. Isotek’s website uses functional cookies as defined by the Privacy and Electronic Communications Regulations. Cookies are very small text files that are stored on your computer when you visit some websites. You can disable or delete any cookies already stored on your computer, and this will not stop our website from functioning properly for you. Isotek will use Google Analytics to monitor website traffic and usage patterns. Functional cookies are used to do this. The collected data we will get from Google is anonymized. If you do not want to accept cookies, you can change your browser settings to do this. For further information about cookies and how to disable them please go to: www.aboutcookies.org or www.allaboutcookies.org. This website will allow you to download PDF articles in exchange for your email address. 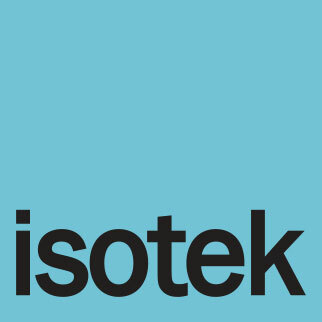 We may use your email to send you occasional updates about new Isotek products or developments. You will be able to un-subscribe from this email database upon receipt of the email. The database will be held on Isotek’s own secure internal servers and will not be shared with any third party.